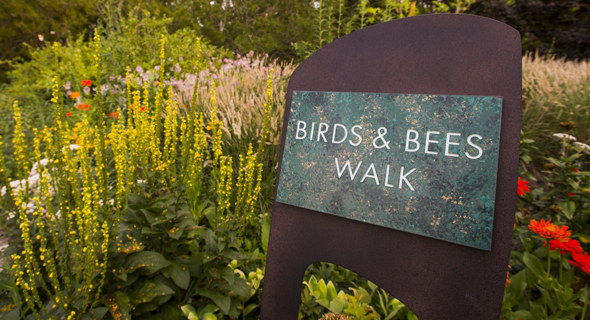 As visitors walk a woodland path, they observe bees, butterflies and hummingbirds flitting among flowers, and learn about plant pollination and reproduction. 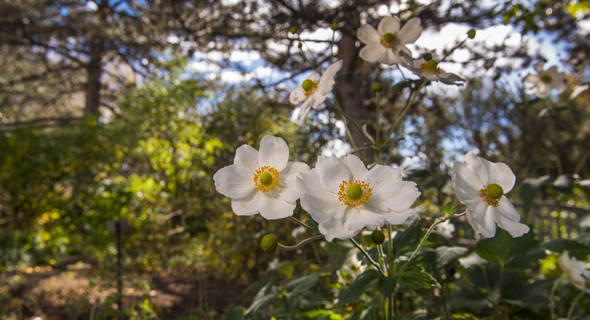 Each plant was chosen for its ability to attract birds, pollinators and other fauna. To many people, the oak is the quintessential tree: stately, disease-resistant and long-lived. 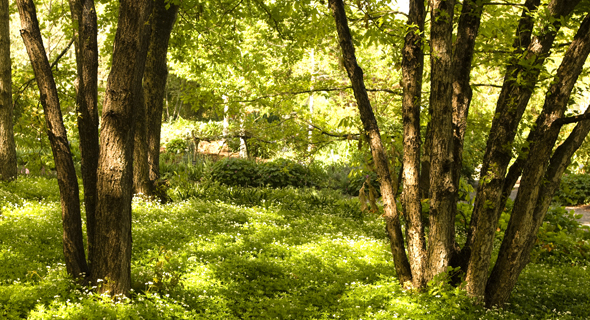 In this naturalistic setting, you’ll find many species and hybrid oaks that grow well in our region. This garden dovetails international efforts to conserve the germplasm of this very large, important genus. In the spring, Shady Lane comes alive with the blooms of crabapples, bulbs and spring ephemerals. 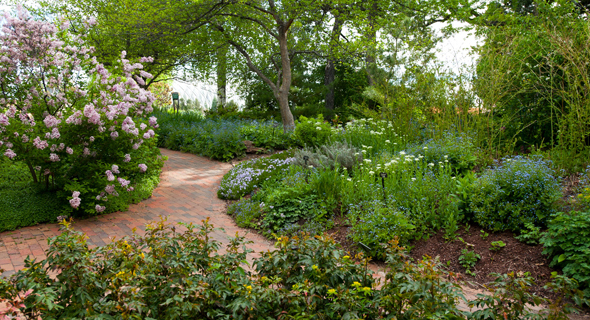 As the season progresses, it settles into a restful shade garden. Here, visitors can take refuge from the heat or find inspiration for low-light gardens. Woodland Mosaic demonstrates the use of low-light plants in a wooded environment, while highlighting the ecological importance of forests. A patinaed solarium is used for social gatherings and events throughout the year.